Over the last few months, I seem to have developed a mild phobia of libraries. The thought of all that desolate air, all those young and motivated freshmen (no offence kids), and more importantly, all that studying I should really be getting on with, has for the most part, been too much to bear. 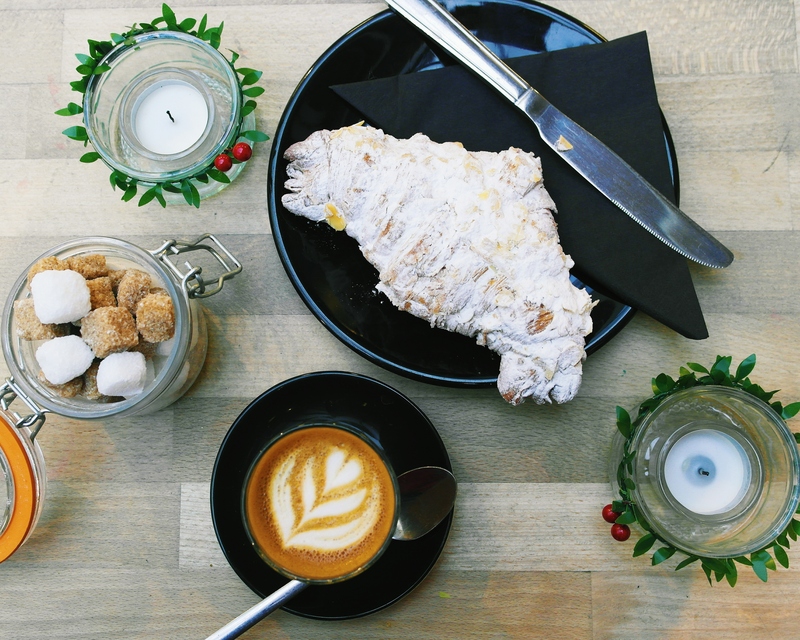 Thankfully, in the midst of London’s booming coffee culture, there exists a handful of establishments that provide a friendlier alternative to these dungeons of silence. 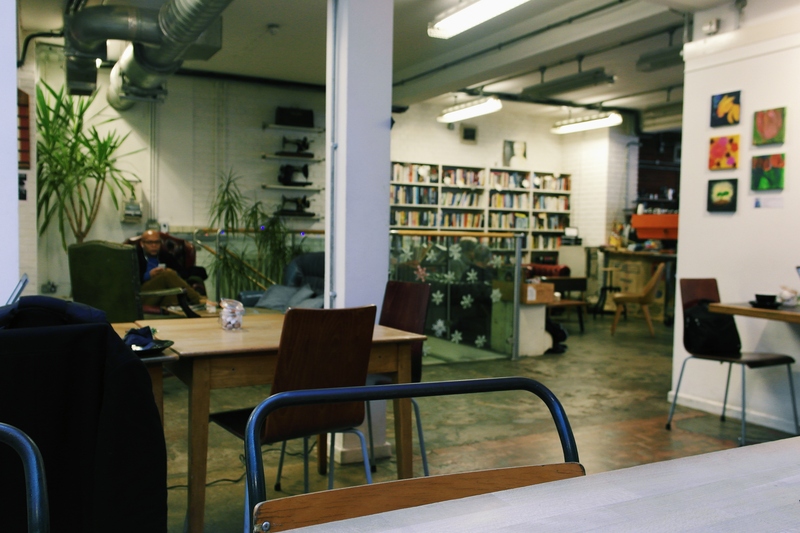 Situated in Limehouse, Husk is just one of the many “creative spaces” that have surfaced in London in recent years – spaces specifically designed for professionals, students, and creative artists to loosen their minds and power through their hefty workloads. For me, such spaces provide the perfect excuse to enjoy a cup of coffee whilst sitting in front of a laptop, and I eagerly headed down to Husk to recreate this illusion of productivity. To jump start my brain, I ordered a piccolo based on the Brazillian “Baron” espresso from Climpson & Sons. What arrived was a fairly light cup, with a subtle, bitter touch and an inherent sweetness that rose up through the milk. 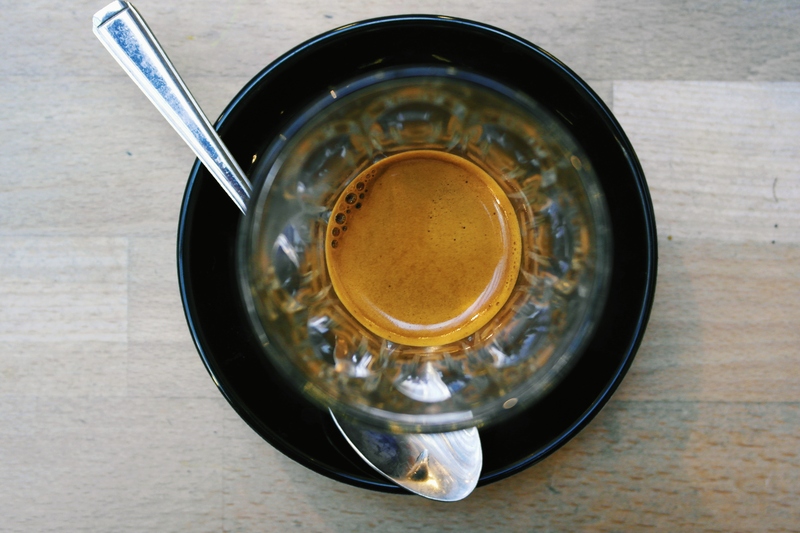 However, the piccolo as a whole seemed somewhat diluted, and given the lack of richness and depth, I suspect that it was made with a regular shot of espresso, rather than a ristretto. As such, it lacked the punch and ferocity that my palate was hoping to receive. I also tried Husk’s own house blend – “The Huskateer”, served as a single espresso. Hailing from El Salvador, the Huskateer possessed a light and mellow acidity, and a pleasantly smooth and heavy mouthfeel. However, this particular extraction seemed somewhat shallow in its flavours, and thus, it too failed to blow me away completely. 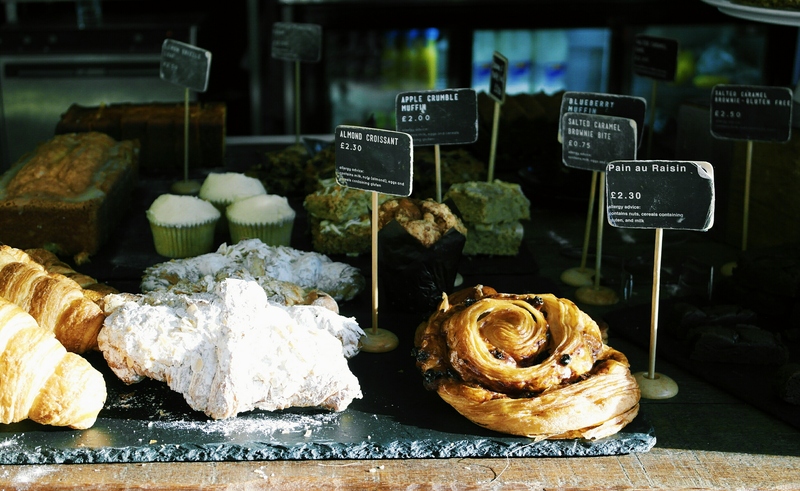 Across the food counter, you can expect to find all the usual cakes, bakes and sweet treats expected of an artisan cafe. However, the selection of savoury items is limited to avocado toast and dhaal and naan, both of which are remarkably unexciting lunch options. Luckily, I had arrived for a second breakfast, and promptly ordered an almond croissant. To my delight, its beautifully crispy and flaky exterior provided an exquisitely delicate crunch, giving way to a thick inner core and a rich, almond-infused aroma. 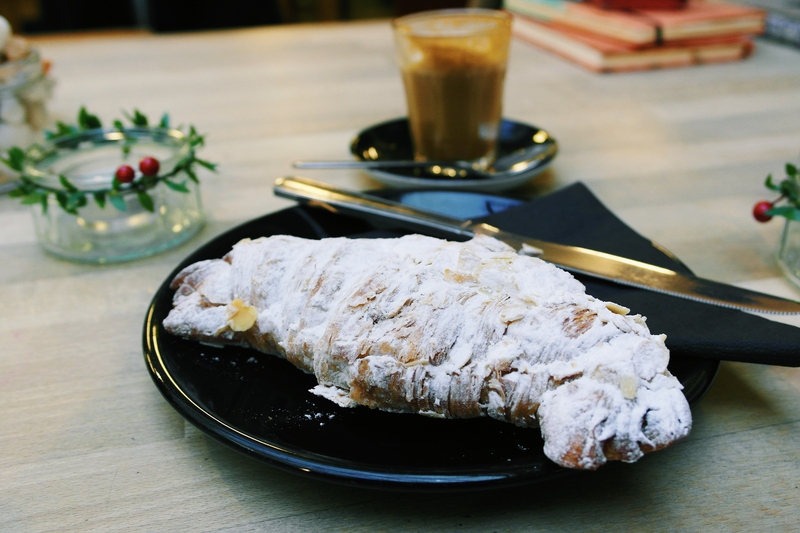 The entire croissant was covered in a dusty coating of icing sugar – (which made me look like a cocaine addict by the end of it), and carried a deep almond flavour. Truth be told, it may have been the best almond croissant I have come across thus far – a bold statement indeed, considering just how many almond croissants manage to find their way into my gut. When it comes to paying up, you’ll be pleased to find a reasonable set of prices. My mind-blowing almond croissant cost a mere £2.30, whilst the piccolo and espresso came in at £2.20 and £1.80 respectively. Generally, cakes and food items cost between £2 to £4, and drinks range between £1.50 to £2.50. As such, Husk is a fairly inexpensive coffeeshop affair, and you’ll certainly spend far less on a work day here, than you will sitting in a library browsing Amazon. Most of the staff members at Husk are friendly and polite, and many seem to have a good, personal relationship with their regular customers. There are a few however, who seem to be rather indifferent to the presence of their patrons, and this somewhat dampens the warmth displayed by the rest of the team. Service is otherwise speedy and efficient. 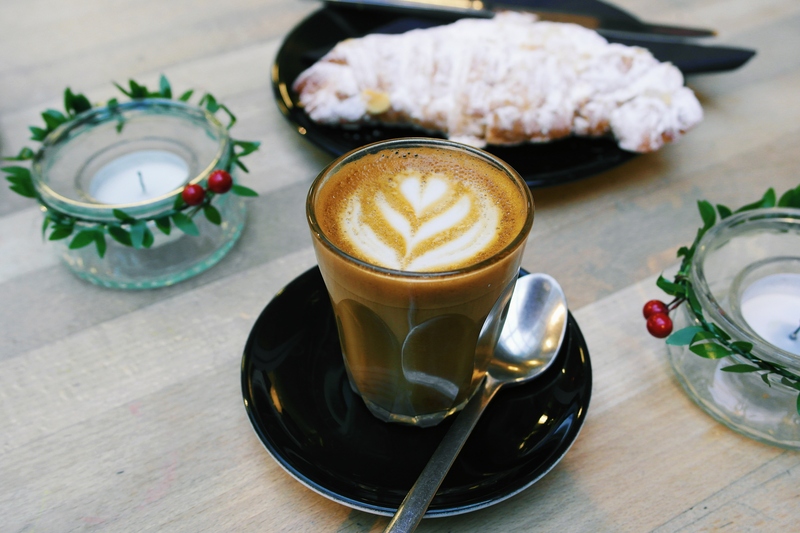 Across London, the vast majority of work-friendly coffee shops are, at the end of the day, just that – coffee shops with a couple of work-friendly spaces built into them. Husk however, seems to be the exact opposite. 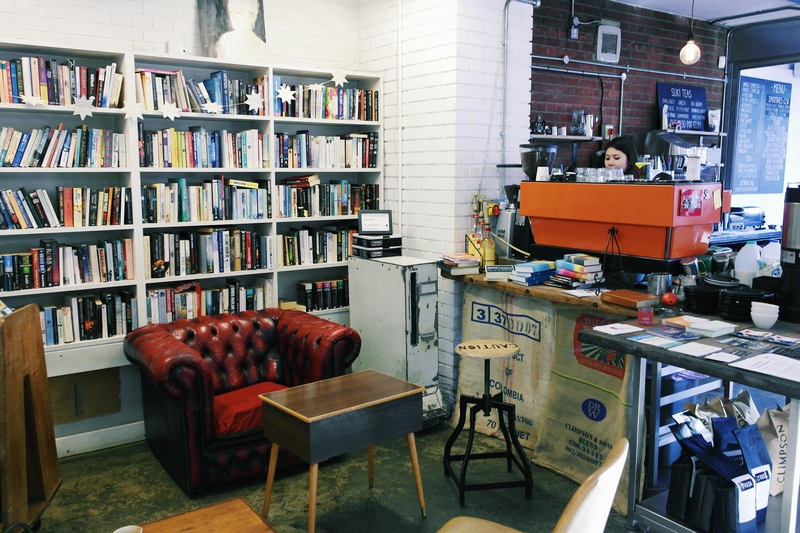 The entire shop is more reminiscent of a community centre or a small public library, and you’d be forgiven for thinking that the “coffee shop” element was set up as an afterthought. The open space curves around the cafe and hosts a variety of seating options, from cosy armchairs and sofas, to stern wooden desks and chairs, ensuring that every intent is catered for. Reading material is also supplied in abundance, and almost every wall is covered with a number of art pieces and quirky displays. It’s certainly a comfortable and versatile space, and this is reflected in the diverse range of customers who utilise it. If ever there was a need to physically define a “creative space”, you’d be hard-pressed to find a better example than Husk. From the spacious set-up to the calm and soothing ambience, this community-orientated cafe has everything it needs to be an excellent hub of productivity. But, when it comes to the fundamental factor of coffee alone, it must be said that a little fine-tuning is needed at the barista’s helm. This, coupled with a more inspiring range of lunch items, is all it would take for Husk to flourish as a haven for workaholic coffee enthusiasts. For me, it remains a unique and interesting establishment in London’s East-End, but it is not one that I would be rushing to return to anytime soon.